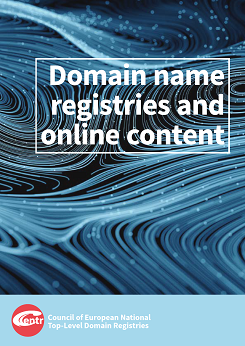 CENTR has just published its paper on Domain name registries and online content. It is a collaborative issue paper explaining domain name registries' relation and role regarding content online. The paper touches on topics such as what illegal content online is, where content is located, and how current ccTLD practices relate to the availability of content online.